If you'd like to go beyond just having a few guppies to watch, perhaps you'd be interested in show guppies. 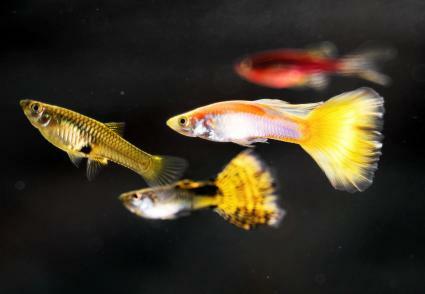 Learn what makes show guppies special and how you can get involved in this rewarding hobby. 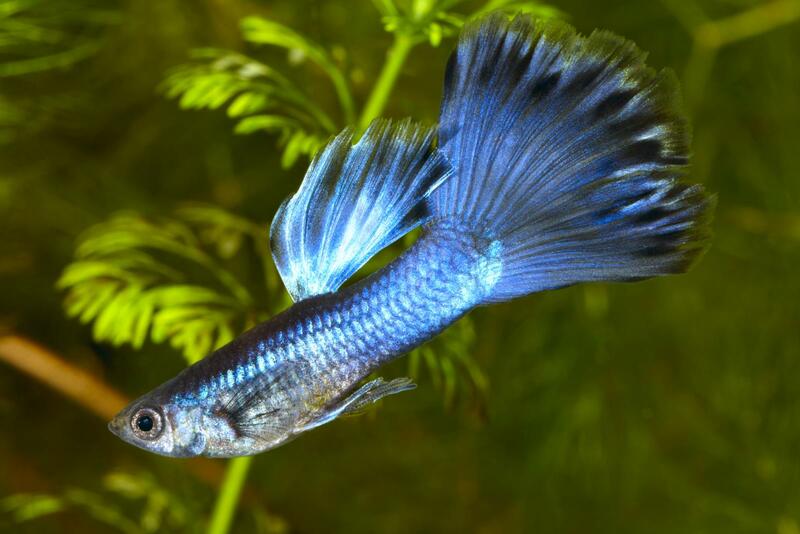 Show guppies, as compared to pet store quality guppies, are bred over many generations to meet specific standards of perfection for competitive showing. Similar comparisons exist in other animal husbandry hobbies such as dogs, cats, birds, and rabbits where you have common "mutt" quality animals versus pedigreed, show quality animals. The International Fancy Guppy Association (IFGA) is the local USA association of clubs and hobbyists nationwide as well as other countries. These clubs sanction, manage, and provide oversight and set-up of the shows. They also maintain guppy standards and judging standards as well as judges for shows nationwide. Affiliated clubs hold annual shows in their local community each year as part of the show circuit. 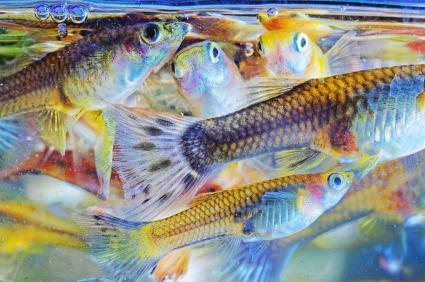 These shows are a part of the competitive circuit in which breeders enter their guppies in national competition to garner trophies and points to annual breeder awards. According to Luke Roebuck, the "Guppy Ambassador to the World" who was a well-known show guppy breeder and IFGA certified judge before he passed away, guppy shows are similar to breeder shows for any animal. "Just like at other types of pet shows, guppies are judged for their conformance to specific standards and physical characteristics which are developed by the IFGA," said Luke. "These standards are documented and published in the Judging Rules and Standards booklet available for members of the IFGA." "Guppies are judged by teams of qualified judges at the IFGA sanctioned competitive shows. These shows can have several hundred entries from all over the nation shipped in as well as hand-carried and entered in their specific classes." "There can be up to 76+ classes that are entered with judging standards for each type." During his time as a show guppy breeder, Roebuck maintained over 250 tanks. 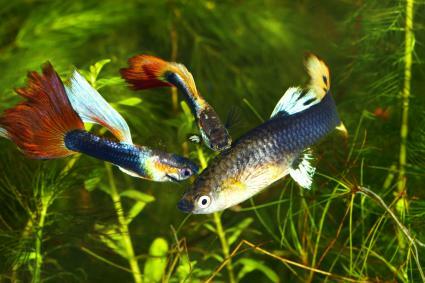 His show quality guppies were sold worldwide, and he won various IFGA breeder awards. He recommended that people, "interested in showing and breeding guppies contact the IFGA and become a member or become a member of a local club which will offer additional mentoring and strains available for breeding and showing. Many breeders get by with one or two strains and a one or two dozen tanks. Many can afford to travel and ship entries to all shows. Many cannot and just show at their local show. Many don't show at all but maintain interest, friendship and camaraderie. Give them the best available foods, water quality and tank space. Learn how to breed guppy strains by using inbreeding, line breeding and outcrossing methodologies. Read everything that you can about these fish and check out the IFGA website as well as some other club websites. Develop a friendly relationship with a mentor (IFGA Master Breeder) who can help by answering all your questions. Acquire your mentor's guppies, ask questions and get involved at IFGA club events. "It takes months and years to become proficient in raising show winning guppies - many years if you want to raise your own strains of show winners and not just someone else's strains!" emphasized Luke. Raising and showing guppies is, according to Luke, "fun and very addicting and will provide years of pleasure and challenges." With so many strains of guppies available, you may also find it difficult to choose which one you want to begin with. Start small and learn all you can from experts like Luke Roebuck, and soon you may be winning awards of your own.